The NFL hopes to make watching its games a little less painful. In a letter to fans written by Roger Goodell, Goodell said the NFL is looking for ways to improve the speed of the game, including addressing the number of TV breaks and the length of those breaks. With networks showing an average of 69.8 commercials per game during the 2016 season, games can often run long, with frequent breaks in game play. Additionally, as of 2014, only 8% of a broadcast was gameplay, with 24% of the broadcast showing commercials. Goodell himself called the experience "annoying," saying the NFL hopes to "eliminate" it. Of course, this is the NFL just saying they plan on making changes — they haven't actually done so yet. 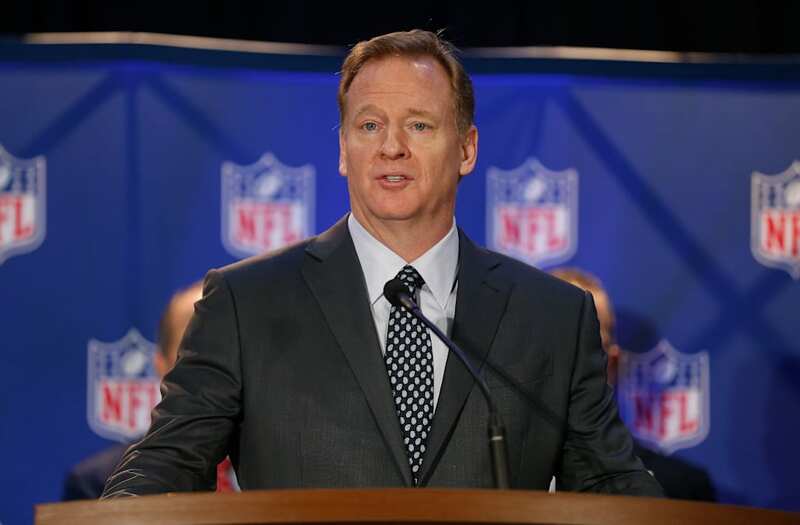 In the letter, Goodell says the NFL has already agreed to make some changes. One such change is installing a play clock following extra points when there isn't a commercial break. The NFL is also going to "standardize the starting of the clock after a runner goes out of bounds" and standardize the length of halftimes. Other changes are still under consideration and in need of voting. Goodell said NFL owners are going to vote on instituting "centralized" replay, in which referees watch replays on a tablet, in consultation with a review center in New York. The hope is to speed up the reviews while also improving the accuracy. The NFL is also considering installing a play clock after touchdowns. With football seemingly becoming less popular across America (though it's still easily the most popular sport) and the NFL's television ratings suffering in 2016, it's smart of the league to consider changes. With a high number of breaks in the action, hopefully a few tweaks can improve the television experience.